Don’t worry…although this may sound too good to be true, it’s not! In fact, getting 0% financing on your next car is quite simple. You just need to find the right dealership, ensure that you qualify, and possibly employ a few easy no-interest hacks along the way. Ready to get started today? Well, keep on reading. 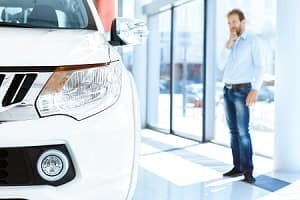 Our Andy Mohr Toyota team created this no-interest auto financing guide for our friends in Plainfield, Avon, Indianapolis, and the nearby Indiana towns and cities. Contact our finance team with questions. 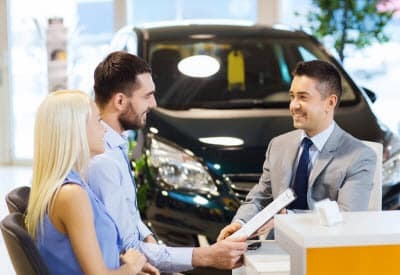 Matt Jones, a Senior Consumer Advice Editor for Edmunds, puts it perfectly: “it is very, very unlikely that any person is going to achieve a zero percent loan unless they are purchasing a new car from a franchise dealer.” Well, there it is, folks…in plain English. Major car dealerships are the way to go in this endeavor. How come? Because they’re tasked with selling massive volumes of cars, their internal lenders are prone to offering deals that’ll help get those cars off the lot more quickly. And that means that you’re winning. FICO Credit Score. You can get a free credit report, once-per-year, from the nation’s three primary credit reporting agencies: Equifax, Experian, and TransUnion. Take advantage of it! Auto Loan History. A history of full, timely payments on your auto loans will help as much as your general credit score. So, be sure to investigate your FICO Auto Score as soon as possible. Down Payment. This one is a no-brainer…the more money you put down up front, the less the lending institution stands to lose, should you default on your loan. 0% financing is more likely! Vehicle Model. Dealerships are also quicker to offer these types of deals on either flagship vehicles, or models that they’re trying to push out the door. Consider all the possibilities! There are other factors to consider, as well: the make and model of the vehicle you’re trading in, the brand and your customer loyalty, and how much you’re financing in general. Got questions? Call us! If you still find yourself in a bind after all of that advice, you can try to cobble together a de facto 0% interest loan by way of non-traditional methods: apply for a 0% APR credit card, seek out a 0% APR personal loan, look into a 0% home equity loan, etc. However, contacting us is where you should start. Get in touch with our Andy Mohr Toyota Finance Center right away! In other words, Step #4 is reaching out to our wizardly financing team. Just fill out an application to get pre-approved today, and one of us will get back to you as soon as we can. Our Toyota dealership near Indianapolis, Plainfield and Avon is excited to get you into your next vehicle at a price comfortable for you.